THANK YOU TO ALL WHO ATTENDED MSDC'S BICENTENNIAL CELEBRATION ON OCTOBER 21, 2017! Alarmed by the growing number of quacks and charlatans promoting their "remedies" and cures on a trusting general population in the early 19th century, local physicians saw the need to make clear who was qualified to practice the healing art and therefore worthy of the public's confidence. Out of concern for their patients, the 16 founding members of the Medical Society of the District of Columbia met on September 26, 1817, at Tennison's, a hotel and tavern on Pennsylvania Avenue, and founded the Medical Society of the District of Columbia. Organized medicine had begun in Washington, DC, making MSDC the 12th medical society to be formed in the United States. Congress Deems MSDC To Be A "Community, Corporation, and Body Politic, Forever"
After the Medical Society's first meeting in 1817, MSDC's founding physicians sought national recognition to distinguish competent physicians from charlatans. On February 16, 1819, MSDC claimed the distinction of being the first medical society in the country to be chartered by an Act of Congress. The act, signed my President James Monroe and Speaker of the House Henry Clay, declared MSDC "to be a community, corporation, and body politic, forever." That identity is at the core of the Medical Society's role today as the primary advocate for the profession and practice of medicine in our Nation's Capital. The charter document granted MSDC the authority to decide whether to license physicians in the District of Columbia to practice medicine, but could not regulate the quality of medicine, deal with ethics or set fees. In those early days, a five­-person board of medical examiners composed of MSDC members performed the all­-important licensing function to ensure that "qualified practitioners" practiced the profession of medicine in our Nation's Capital. Sixteen physicians were listed as incorporators in the charter document. Dr. Daniel Lamb, MSDC President (1901), chronicled an early history of the Medical Society of the District of Columbia, which is available here. *The 16 original founders of the unchartered Medical Society in 1817. DR. WILLIAM THORNTON ~ Dr. William Thornton, who served as MSDC Vice President, was a physician, inventor and civil servant who left a legacy for architecture and science. Without any formal training, he submitted a design for the original United States Capitol in 1792, that won an intensely competitive contest and beat out world-renowned architects. Dr. Thornton became a prominent figure in early Washington and was architect of several other buildings in the Federal City including Tudor Place and Octagon House. He held many civic offices including first Superintendent of the U.S. Patent Office. Being an inventor he held a number of patents in his own right. There is a famous story about Dr. Thornton during the burning of Washington in 1814. DC Mayor Dr. James Blake, another MSDC member, was away from the city when the British marched on the city in 1814. Dr. Thornton is said to have met the British at the old Blodgett's Hotel, where he convinced them that a great loss to civilization would occur if patent documents and models were destroyed. Thornton's act is said to have spared the U.S. Patent Office (the only federal building left standing) and its many scientific documents, while the U.S. Capitol, White House, War Department and Treasury all were set afire. US SURGEON GENERAL JOSEPH LOVELL, MD ~ One early Medical Society leader was a US Surgeon General. Joseph Lovell, MD, was an early member of the Medical Society of DC and a founding member of the Medical Association of the District of Columbia, which eventually combined with MSDC. Dr. Lovell graduated from Harvard Medical School in 1811, with the first class to receive the degree of MD. At the time, war with Britain was eminent and in May of 1812, Dr. Lovell was appointed major and surgeon, 9th US Infantry Regiment. He advanced quickly and, in 1818, at less than 30 years old, he was named Surgeon General. Dr. Lovell’s annual salary was reportedly $2,500, or approximately $57,000 adjusted for inflation. for quality and efficiency. He fought the age-old battle for physician autonomy. According to the US Army Office of Medical History, he was "concerned about control over medical logistics, believing that his greatest problem would be preventing interference in medical procurement by commanders outside the Medical Department who were subject to influence by private contractors and were often overcharged." Dr. Lovell served as Surgeon General for 18 years until he succumbed to pneumonia. 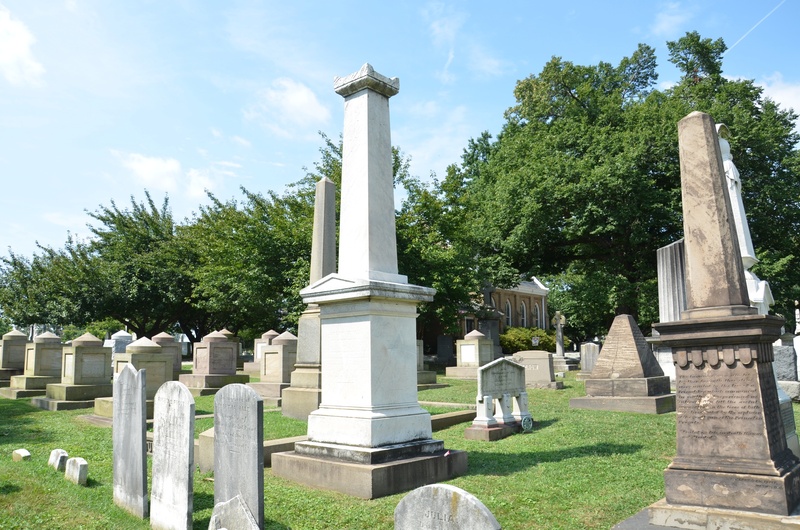 His grave, pictured to the left, is at Congressional Cemetery in Washington, DC. As early as April 1819, the Medical Society participated in the Convention of the Middle States, which met in Philadelphia to put together the "American Pharmacopoeia." It was the first official document in this country to list drugs, their preparation, properties and use, and it dictated the form and method for preparing pills, powders, tinctures, infusions, syrups and numerous other compounds in use at the time. MSDC delegates included founding members Drs. John Schaaf, Thomas Sim and Henry Huntt who seized the chance to shape the standardization of drugs in this country. In 1820 delegates were also sent to the National Convention of Physicians at which the United States Pharmacopoeia (USP) was approved in Washington, DC. This was the first of many meetings to occur every decade to revise the Pharmacopoeia and MSDC members still represent the District of Columbia at USP's standard­-setting meetings today. It wasn't until the middle of the century that physicians began to feel the need to organize on a national scale. MSDC members promoted the formation of the American Medical Association, which occurred in 1847, and they elected three delegates, including Dr. Harvey Lindsly, who would eventually become the Society's first of several AMA Presidents. Dr. Lindsly was elected AMA President at the AMA Convention of 1858, Dr. J.M. Toner was elected in 1874, and Dr. A.Y.P. Garnett won the office in 1887. Dr. Toner proved to be an avid historian and even secured a room at the Smithsonian Institution to house a proposed AMA library, with MSDC as its caretakers. In 1806, the Washington Infirmary, located then in a square between 6th and 7th and M and N Streets NW, was established as the city's first public hospital to provide for the "poor, disabled and infirm persons." In its early years, this hospital bore the stigma of a "poorhouse" as did others of the time. Hospitals did not have a very good reputation, and were generally thought of as a place to die. However, they served the needs of a growing capital city. Following the establishment in 1806 of the Washington Infirmary as the first public hospital in Washington, DC, attention turned to the city's mentally ill residents. By the 1830s, the Medical Society and local residents were calling for a dedicated facility to care for the mental health needs of DC residents. Dr. Benjamin Bohrer, an MSDC founder, proposed the idea of a dedicated facility to Congress. Dorothea Dix, a mental health pioneer, led a crusade for the humane treatment of the mentally ill and helped write legislation to establish the first federally operated psychiatric hospital in the country. The Government Hospital for the Insane of the Army and Navy and the District of Columbia (known today as St. Elizabeth's, named for the land grant it rested on) opened in 1855 with funding from Congress. Dr. Charles H. Nichols, an MSDC member, was appointed its first superintendent. The George Washington University (GW) opened in 1821 as Columbian College, when Washington, DC, had only nine physicians and two apothecaries. Four years after its founding, the college added a medical department to its curriculum. This, the eleventh medical department in the nation and the first in the capital, would evolve into today's George Washington University Medical Center. Many MSDC members became actively involved with the school. The medical department opened with a first­-rate faculty, including Thomas Sewall, professor of anatomy and a Harvard graduate. The faculty soon expanded to include Alexander P. McWilliams, Thomas Henderson, Nicholas Williams Worthington, and Frederick May­­-MSDC members all. Over the next fifteen years, the department continued to grow, and by the early 1840s, it needed more space. In 1844, Congress granted GW use of an insane asylum at Judiciary Square for the Washington Infirmary. The Infirmary began operation as the first general hospital in the Nation's Capital and one of the earliest teaching hospitals. From the Medical Society’s earliest days, MSDC has been a major player in the remarkable medical and social history of the District of Columbia. Members were active in the improvement of the District’s water supply and the control of contagious diseases in the early years and worked to to eliminate polio, support anti-smoking legislation and bills aimed at providing health insurance to the District’s uninsured, and advocate against health disparities. MSDC members and leaders to this day are at the forefront of local, regional and national efforts to improve public health. In 1832, Washington was visited by an epidemic of cholera which severely strained the services of the Washington Infirmary and the city's doctors. The epidemic took the lives of many, including the Society's then President, Dr. Thomas Sim. Dr. William B. Magruder, an MSDC member, was accomplished in the treatment of cholera and practiced in Georgetown. He remained in that part of the District after the cholera epidemic had driven away other physicians, and he was called to take charge of a temporary cholera hospital. Dr. Magruder later served as the seventeenth Mayor of Washington. Typhoid fever was a scourge across the District and the nation. This map documents the 626 typhoid fever deaths in the District between 1888­-1892. 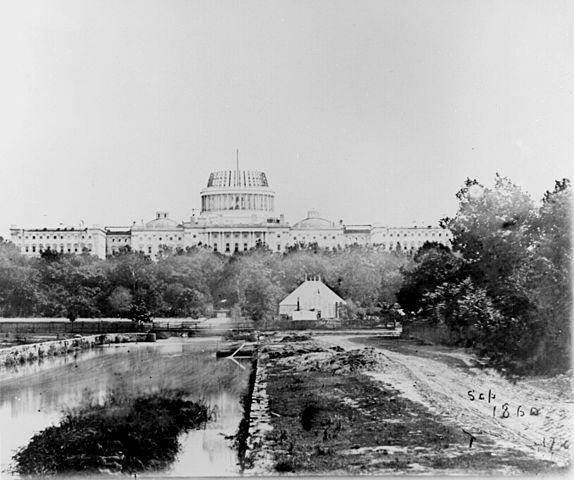 For the first time ever, the House of Representatives invited a medical society to appear to present and report its own findings; in this case, the investigation into the causes and prevalence of typhoid fever in the District of Columbia and the importance and necessity for an increased and improved water supply and sewerage extension. The Medical Society was deeply involved in improving the water supply and methods of filtration of some of the continental cities. By mid-century, a new group of killer diseases—led by heart disease, cancer, and stroke—prevailed in America. In 1964, the first report of the Surgeon General’s Advisory Committee on Smoking and Health was released informing the public that smoking was hazardous to one’s health. When the warning first appeared on cigarette packages, 47% of Americans smoked. MSDC has ardently supported anti-smoking legislation and bills aimed at providing health insurance to the District’s uninsured. The 1960s also saw a cure for the crippling disease of polio, with the government’s approval of the Sabin oral polio vaccine in 1962. The Medical Society launched a 14-week polio immunization drive, chaired by later MSDC President Dr. Marvin Korengold and supported by the Medical Society Auxiliary. In 1965, MSDC became one of only three states to win Regional Medical Program funding. This allowed MSDC to provide clinical programs to improve education and patient care in the areas of heart disease, stroke, cancer and related illnesses. The programs lasted for more than a decade. The DC Department of Health shared MSDC’s goal of improving the health of Washingtonians, and the two worked together for decades to combat tuberculosis, diphtheria and other diseases. The 1970s saw a surge in malpractice cases across the country that caused premiums to skyrocket. The litigious nature of the District led physicians to take matters into their own hands and form a physician-owned professional liability insurance company, National Capital Reciprocal Insurance Company (NCRIC), offering physicians an alternative to unpredictable and arbitrary premium increases by insurers. Ultimately, this strategy would not be sufficient to control premiums, and NCRIC merged with a regional insurer by the name of ProAssurance. Amid escalating malpractice premiums, MSDC launched "Keep Your Doctor in DC," an aggressive medical liability reform campaign to secure meaningful reform in the District of Columbia. The campaign worked on many fronts to stem the exodus of physicians from the District, provide relief for those committed to providing health care in the city, and stabilize the District's healthcare infrastructure. MSDC held a press conference, garnering high-profile media coverage, introduced multiple pieces of legislation and testified in front of multiple committees on the broad-based problem of high premiums. In March of 2007, comprehensive, albeit incremental, medical liability reform was enacted into law. The battle for tort reform remains a perennial challenge in the District, where the City Council sees such legislation as anti-consumer and the disproportionately large trial bar has consistently fought reform. There was a national groundswell in the 1990s of women demanding change in addressing domestic violence, heightened media attention on child abuse, and the awareness of abuse not as a societal issue, but a public health issue. MSDC initiated a Task Force on Family Violence, which remains active to this day and actively covers DC legislation covering violence and abuse-related issues. The Task Force has led to important advances for patients; in 2000, the Task Force collaborated to support a first-of-its-kind surgical group providing humanitarian consultation and surgery to abuse survivors of facial injuries. In 2001, the Task Force established the first court-based medical advocacy program, now located in the DC Superior Court's Domestic Violence Intake Center, for victims who present for legal assistance. It is no understatement to say that the events of September 11, 2001, changed society, and they impacted medicine as well. In the following weeks, weaponized anthrax directly targeted Washingtonians and the threat of bioterrorism heightened concern over medical emergency preparedness. In response to increased fears of a biological attack, MSDC held “Vaccinating Against Fear” seminars to train volunteers in the administration of the smallpox vaccine, improving the District's readiness to deal with one of the deadliest viruses in history. MSDC is the leading voice of medicine and a public health advocate on issues impacting the diverse population of the District of Columbia. MSDC safeguards patients softening standards around scope of practice that threaten quality care. MSDC plays a central role in focusing broad-based stakeholders around legislation and initiatives that improve the health and well-being of Washingtonians. MSDC led a major city-wide campaign to vaccinate infants and children, created an AIDS Task Force, has repeatedly raised concern over health disparity across all eight wards and champions affordable access to care.